For the cupcakes: Preheat oven to 350°F. 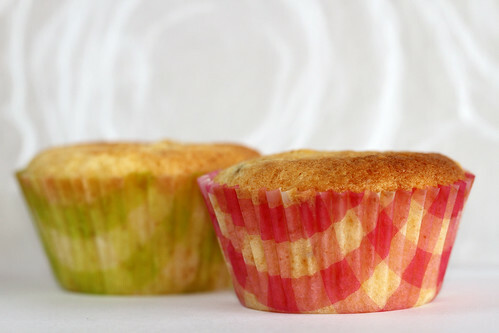 Line a 12 cup muffin pan with paper liners. 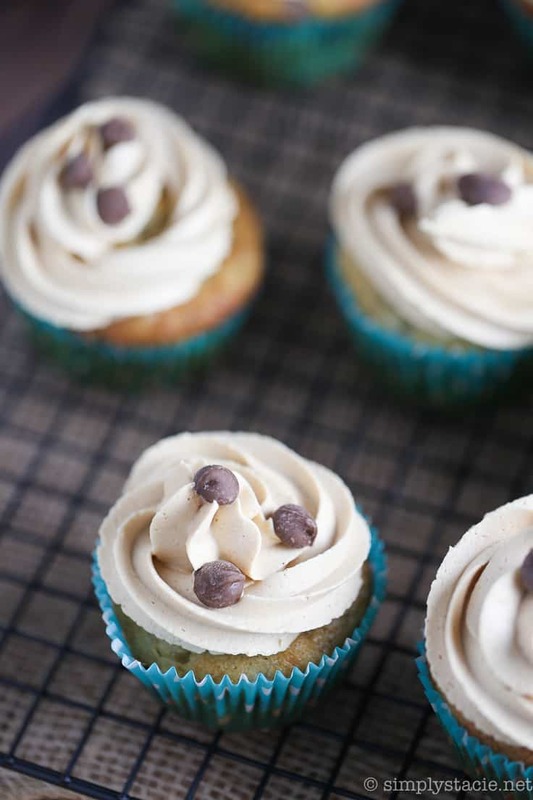 In a medium bowl, whisk together the cake flour, baking powder, baking soda, salt and cinnamon. 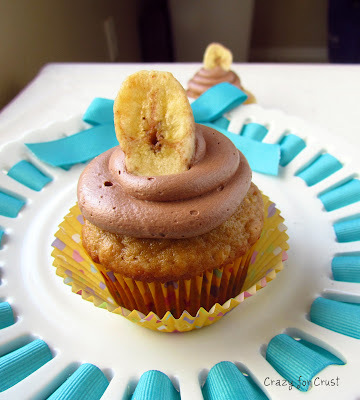 The recipe I found for Peanut Butter Banana Cupcakes from Sugarplum included a marshmallow frosting, which reminded me of this frosting which I knew I could easily turn into a chocolate one. So I did.